Well-timed analysis can rocket you to the top. Bermuda’s 100 Women in Finance membership leaned in as Whitney anecdotally recalled career-defining moments that shot her to star analyst status before the global financial crisis. During the Seaside Chat, moderated by Fiona Luck, former insurance executive and recent appointee to Lloyd’s Franchise Board, Whitney reflected on her career triumphs as the analyst who, in 2006, predicted a US mortgage crisis. She also shared her perspective on how hard work and resilience can propel professionals to success. 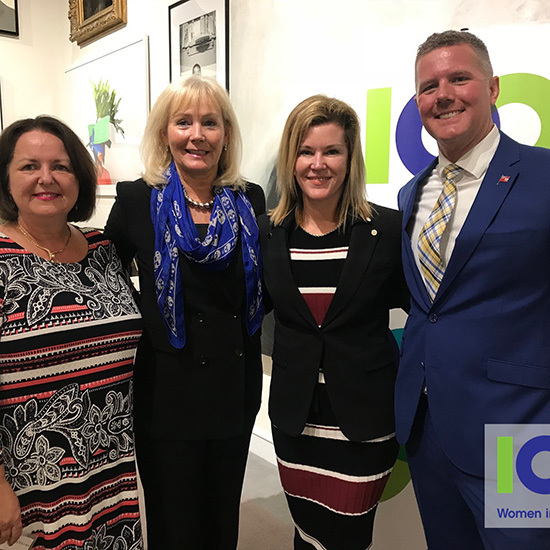 The education event and networking reception, jointly sponsored by Oyster Consulting (Bermuda) Ltd. and Bermuda Business Development Agency (BDA), welcomed professionals from Bermuda’s finance, reinsurance and financial services communities to Bermuda’s National Gallery. Attendees gained incredible insight into what Whitney and Luck consider essential for women to achieve their professional goals. The Bermuda event celebrated 100 Women in Finance’s milestone of 800 education events globally.